James Klobucar, Esq., the Chair for the Consumer and Design Patents Group at Gearhart Law, LLC. As such, James is responsible for managing the consumer and design patent practice as well as keeping the firm up to date on international and domestic rule changes on these topics. His other duties include consulting and advising clients on patent portfolio management strategies, including infringement analyses, and filing and prosecuting both trademark and copyright applications. James is also the “Patent Executive in Residence” at The New Jersey Institute of Technology (NJIT), where he regularly meets with entrepreneurs at NJIT’s Enterprise Development Center incubator. He provides these services on a pro bono basis to help advise them on and bolster their intellectual property protection and strategy. Before coming to Gearhart Law, James had a solo practice where he drafted and prosecuted patent applications in the consumer and software technologies. Since coming to Gearhart Law, James has drafted numerous patent applications in many technology areas and assisted many clients in obtaining patent protection. While he enjoys the legal aspects of his career, he also enjoys working with the inventors and entrepreneurs. Many inventors come to James with ideas they want to patent, and by brainstorming with the client, he helps them expand and solidify their ideas in order to obtain the best patent protection. James also provides value to his clients by working with them to obtain trademark protection for their products and business. Many times entrepreneurs want a specific trademark but do not realize such a trademark may not be obtainable. For example, if another trademark already in use is too “similar” to their proposed trademark, the USPTO will not grant the trademark. James will perform a search to find the trademarks that are already in use and analyze similar trademarks to prevent wasted time and effort on a branding that is of no use. James completed his undergraduate studies at Cornell College double majoring in Biochemistry & Molecular Biology and Chemistry. 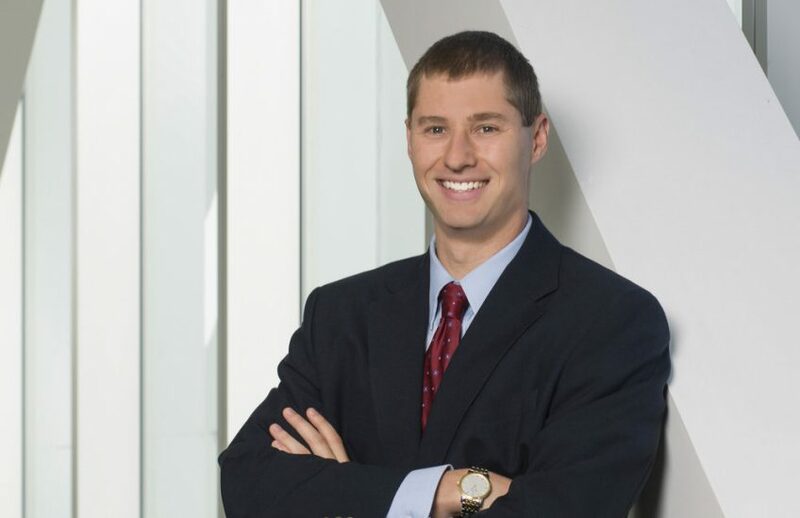 While he has experience with life science based patents, he is also proficient in working with patents involving mechanical inventions, consumer products, and electronic devices, namely wireless communication devices. James is experienced in working closely with corporate clients, but his true passion is in helping individual inventors and start-ups achieve their goals. Gudavalli, S., Kawka, E., Klobucar, J., Krutsinger, R., Mangalagiri, S., Moscati, E., Preiss, M., Ramani, N., Stanford, A., Verryt, K. 2011. Patent Landscape of Algae Biodiesel: Applicable Genetic Engineering Technologies. University of New Hampshire School of Law Educational Report.